After four turbulent, diverse years, MLB is shutting down the MLB Fan Cave before the 2015 season. The Cave was billed as a “social media hub” in New York City, where a selection of fans watched every MLB game during the season. It started off as a cute idea, with two selected fans living and breathing baseball back in 2011. Then, it developed into something….bizarre. In 2012, it turned into a reality show of sorts, with the cast expanding and fans voting the “cave dwellers” out of the Cave based on seemingly whatever logic they based at the time. It became less about the game of baseball and more about this group of people watching the game of baseball, blurring the lines of what exactly we were supposed to care about in regards to the Cave. That pattern continued on in 2013 and 2014, but the focus seemingly began to shift back towards baseball and its players late in 2013 and during 2014. Several Fan Cave components are likely to live on, including its concert series featuring up-and-coming acts and the creation of viral content with players outside the ballpark. But the original Fan Cave premise of having a group of selected fans watch every game of a season will cease. The Off the Bat show on MTV2, which was broadcast from the Fan Cave each week, also won’t return for the 2015 season. The show was a decent idea, but ended up turning into “MTV employees talk to and do crazy stuff with baseball players”, helping limit its appeal a bit. Now, why is MLB doing this? The official explanation from the league is consolidation. All social media will be under the umbrella of MLBAM and MLB Network going forward. Previously, the Fan Cave was its own separate entity, leading to some confusion when it came to promotion of various MLB events. MLB president of business and media Bob Bowman explained more about the consolidation (again via SBJ). 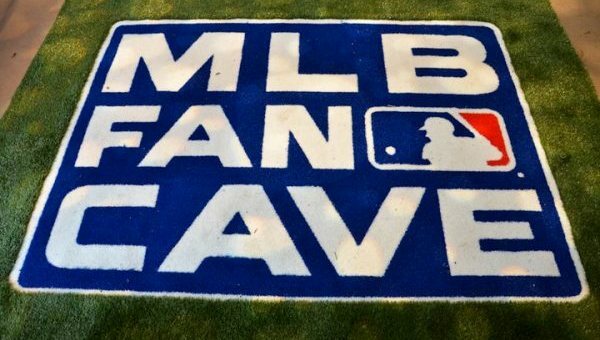 The mind behind the Fan Cave, former MLB EVP of business Tim Brosnan, left the league last month when new MLB Commissioner Rob Manfred took office and restructured MLB’s executive team. All of social media will now be overseen by new MLB COO Tony Petitti, the former President and CEO of MLB Network. Ideally, Petitti will get all MLB teams on the same page in regards to social media – it’s inexplicable to me that some teams essentially use their Facebook and Twitter pages as RSS feeds and don’t have any sort of unique voice. If Petitti can get all teams to create the type content that the Fan Cave’s digital team was creating and use their social media outlets for engagement rather than promotion, the league as a whole will be in a better place.